Freedom is being able to express your heart, to accept today. 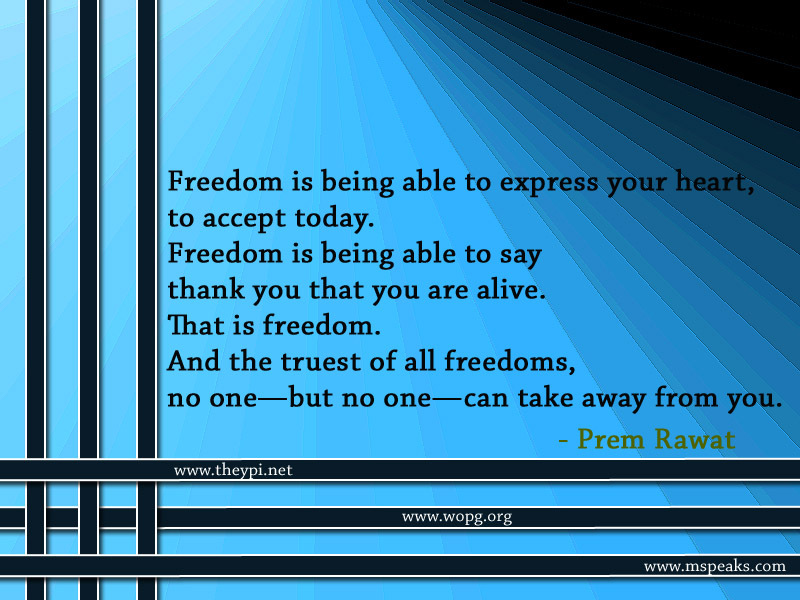 Freedom is being able to say thank you that you are alive. no one—but no one—can take away from you.